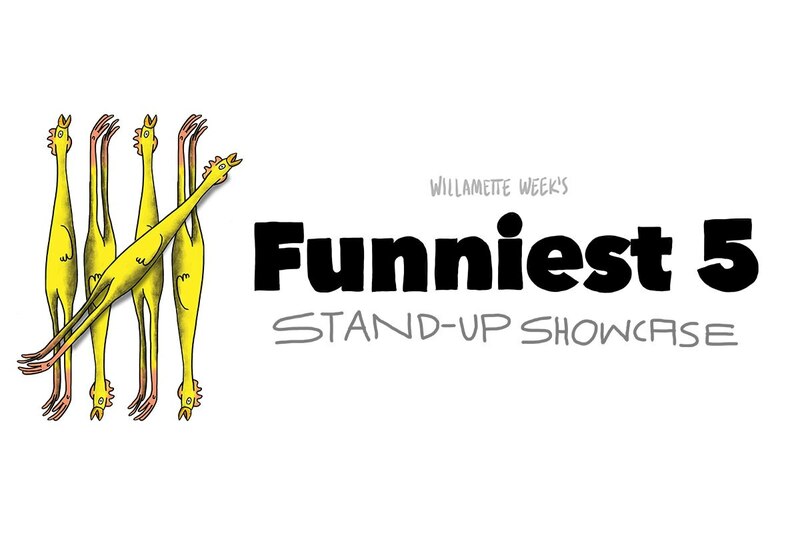 Willamette Week polls Portland comedy insiders on the best fresh faces in stand-up comedy. Willamette Week polls Portland comedy insiders on the best fresh faces in stand-up comedy. We're excited to announce, Jake Silberman, Cori Lucas, Mohanad Elshieky, Shain Brendan and Dan Weber will all perform at this year's Funniest 5 showcase on Nov 28 at Revolution Hall. Becky Braunstein will emcee. Doors at 6 PM. Show from 7 – 9 PM. Tickets are $15 and available now. With this killer lineup, they'll go FAST.